A fantastic entry in the late-life partnership that reedman Peter Brotzmann has formed with steel guitar player Heather Leigh – the kind of instrumentalist that Brotzmann never would have played with back in the day – but who seems to really open him up with an unheard range of color and tone! At times, Peter is maybe even more soulful than usual – blowing almost straight, to match the more colorful modes of the steel – which itself can be more abstract from a sonic perspective – creating a shift in the expected sensibilities you might have with a record from Brotzmann. 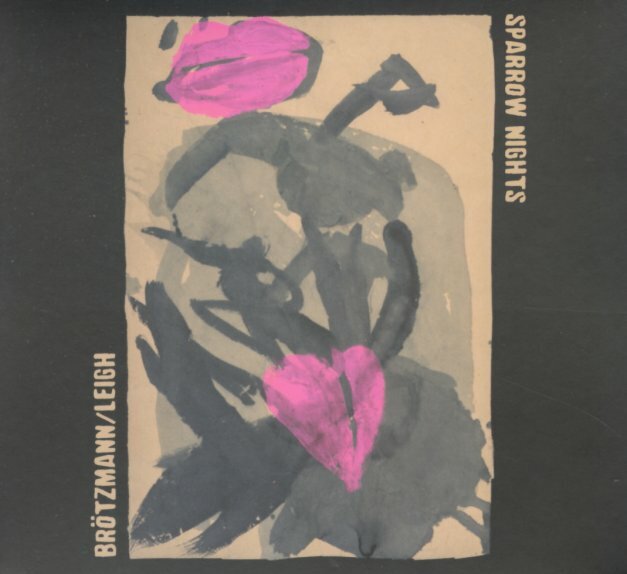 Leigh really uses her instrument in wonderful ways – and Brotzmann blows a variety of clarinets, plus alto, tenor, and bass saxophone – on titles that include "It's Almost Dark", "This Word Love", "Summer Rain", "All Of Us", "River Of Sorrow", "My Empty Heart", and "The Longer We're Apart". © 1996-2019, Dusty Groove, Inc.